As a follow-up to the post on the adaptiveness of raccoons, coatimundis, and other Procyonids, here is yet another carnivore adapting their behavior to survive alongside humans. 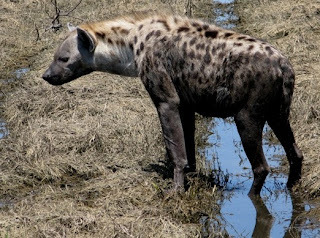 A team of Ethiopian and European scientists surveyed spotted hyenas and determined their abundance in a district of northern Ethiopia that's been highly degraded and depleted of normal hyena prey. 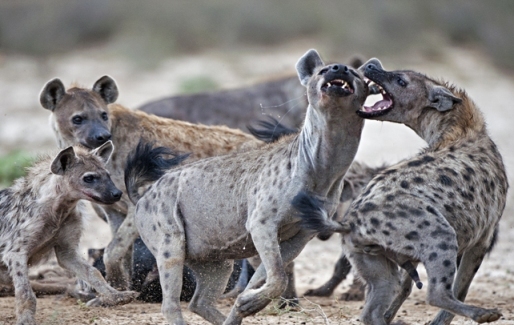 They surveyed the hyenas by playing distressed hyena calls (the curious animals approach to see what the problem is). They found through analyzing hair in hyena droppings that 99% of the prey items eaten by these hyenas were of domestic origin (only 3 of the 211 droppings contained hair of wild animals - a hare and a porcupine). In other words, by eating almost exclusively human-generated food, hyenas in northern Ethiopia are living at moderately high densities despite the loss of their normal prey. From interviews, the researchers learned that hyenas eat some livestock (203 reported by a sample of resident in a 5-year period, which amounted to 0.13 livestock (US$6) per year), but mostly they scavenge dead livestock, so the cost to people is minimal. Moreover, hyenas have powerful jaws that can crush bones, so they apparently disposed of not only the meat but also the bones of the dead animals. 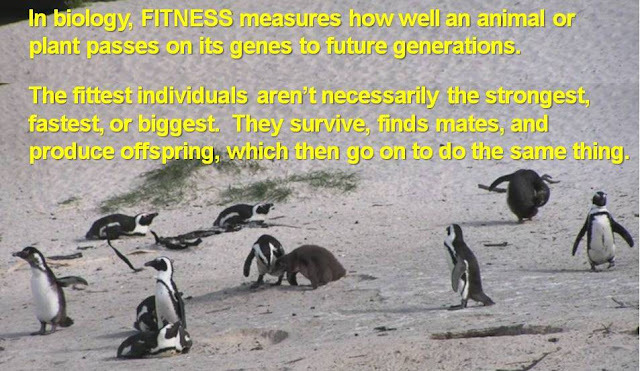 I learned of this article on the Evolution Facebook page, which for anyone interested in the wonders of evolution, adaptation, and biological fitness, is full of short posts, complete with photos, and written in very human language. The Interesting Fun Facts website has a page of fun facts about hyenas. Finally, for those wanting the original source of the information, here is the abstract of the scientific paper, in the journal Mammalian Biology.